The following article ran in the Fall 2014 edition of PESA News. 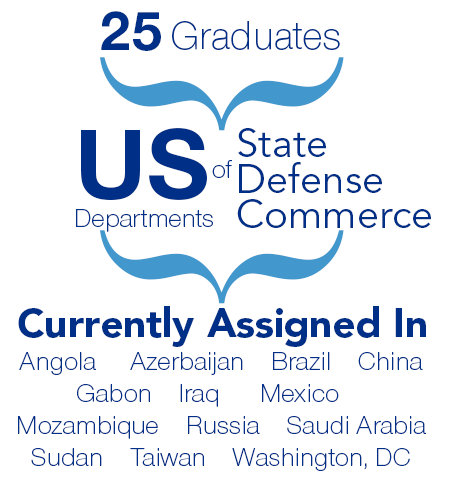 For the past 21 years, PESA has co-sponsored a Foreign Service Officer Energy Industry Training Session with the U.S. Departments of State, Energy, and Commerce. The week-long training familiarizes Foreign and Civil Service Officers with the energy industry to facilitate informed energy decisions at their embassy posts around the world, specifically in energy-intensive countries. Member and customer companies along with nationally-recognized educational institutions provide experts, materials, and equipment for the training program. To date, PESA has trained more than 550 federal government officers. Member companies donate their time, personnel, and facilities to give FSOs a hands-on overview of the petroleum industry. In return, PESA member companies gain valuable, educated contacts in the FSO community. Highlights of the FSO training included the James A. Baker III Institute for Public Policy; Citi Trading Floor; Weatherford’s drilling rig; a briefing on security from BP; Halliburton’s Research and Development Center; ExxonMobil; and the FMC Technologies production floor.